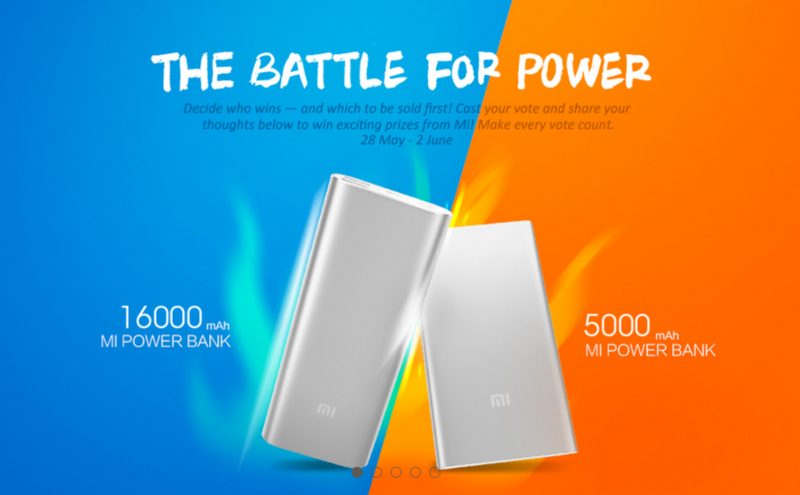 Xiaomi announced it’s latest power bank 16000 mAh will goes on sale first for INR 1399 in India on june 9 at 2PM after running a contest for 2 weeks to decide which of the powerbank goes on sale first among 5000 mAh and 16000 mAh. In this poll 83% voted for 16000 mAh and the company also announced that the 5000mAh power bank will go on sale a week later for INR 699. 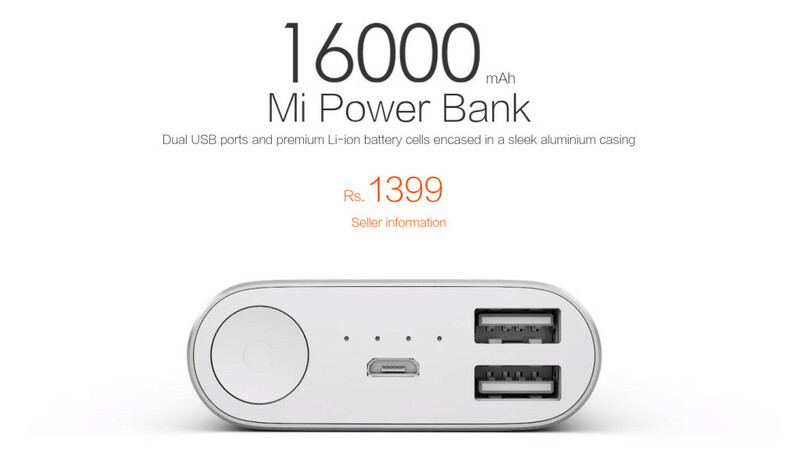 On the specification front, Xiaomi 16000mAh power bank has a dual USB ports featuring a premium Li-ion battery cells encased in a sleek aluminum casing. The company guarantees that the 16000mAh power bank can fully charge a Redmi Note 4G almost 3.5 times, an iPhone 6 almost five times and an iPad mini almost 2.5 times. On the other hand, the 5000mAh power bank sports a single USB port with a lithium-ion polymer battery cells in a super slim 9.9mm aluminum case. The company states that the power bank has been made for day to day use and is the thinnest power bank made by them. Company also claims that the 5000 mAh can full charge for Redmi Note 4G one time, 1.8 times full charges for iPhone 6 and 2.2 times full charges for iPhone 5s.